The phrase “bringing the outside in” is a well-versed idea and statement that has flourished in architectural styles and interior designs over the last decade. Discovering and implementing those transitions from inside to outside have been greatly emphasized as proof that our busy lives benefit from living amongst our natural surroundings, including those precious few feet just on the other side of our four walls. Whether you’re gazing at the sunrise during a moment of reflection on a small yet intimate patio or submerged in a hot tub in a huge field staring at the night sky, being outside in nature is beneficial for a healthy lifestyle. And creating an outdoor space that flows as a natural extension of your home is preferred. Planning for that space, which could include a BBQ grill and a furnished dining area, or several designated outdoor areas for entertaining, cooking, swimming, and playing, is as important and necessary as the steps your architect, builder, and landscape/interior designers carried out for your main indoor living space. Just ask these professionals and they’ll agree that planning ahead is essential to the performance, longevity, and enjoyment in those outdoor areas, regardless of their size or your budget. Meet these four experts who know how to plan, create, and execute outdoor spaces so you can start living outdoors in virtually any season with statement-making appliances, gorgeous furnishings, thoughtful landscape design, and state-of-the-art smart home innovations. 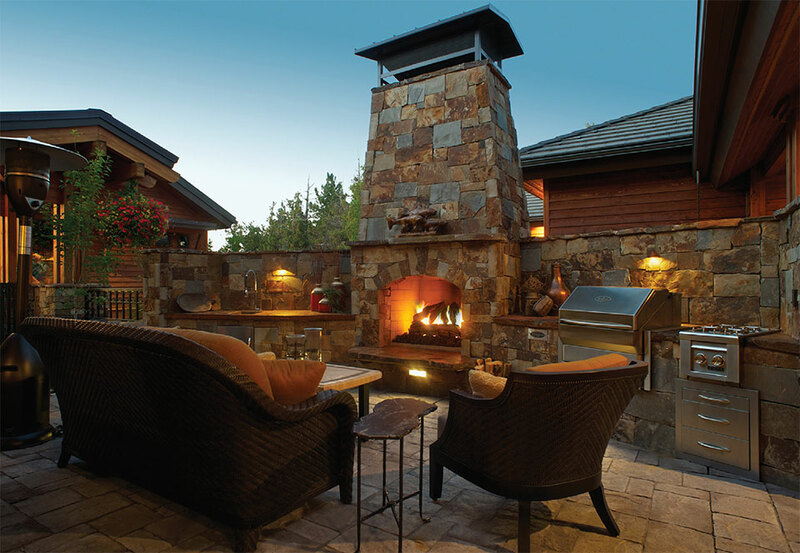 Scott Holmer is acutely aware that his clients spend as much time as possible outside because his successful business, Patio World, has been Central Oregon’s premier patio and outdoor furniture resource for over three decades. 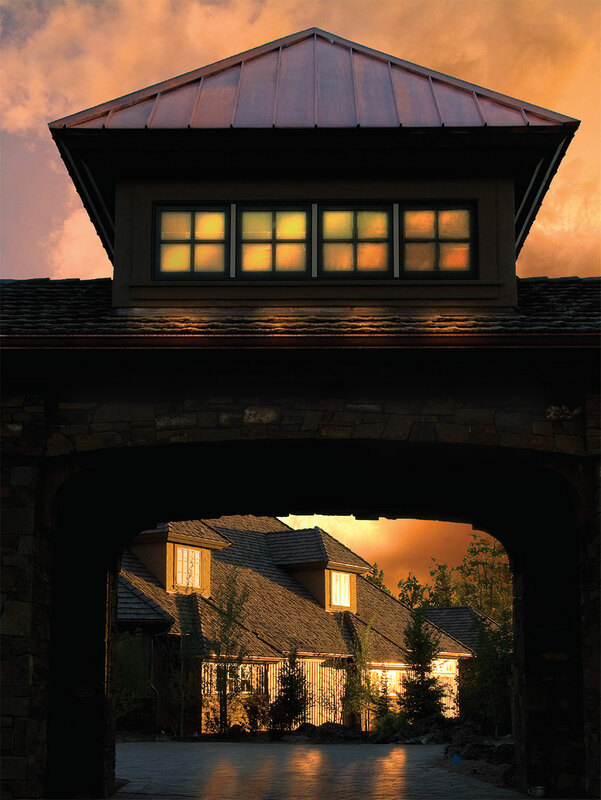 One of the largest showrooms in the state, Patio World offers luxury brand names such as Brown Jordan, Jensen Leisure, Tropitone, O.W. Lee, and Gloster. These hand-crafted collections use the highest quality materials and world-class artisans to create and enhance any outdoor living area. 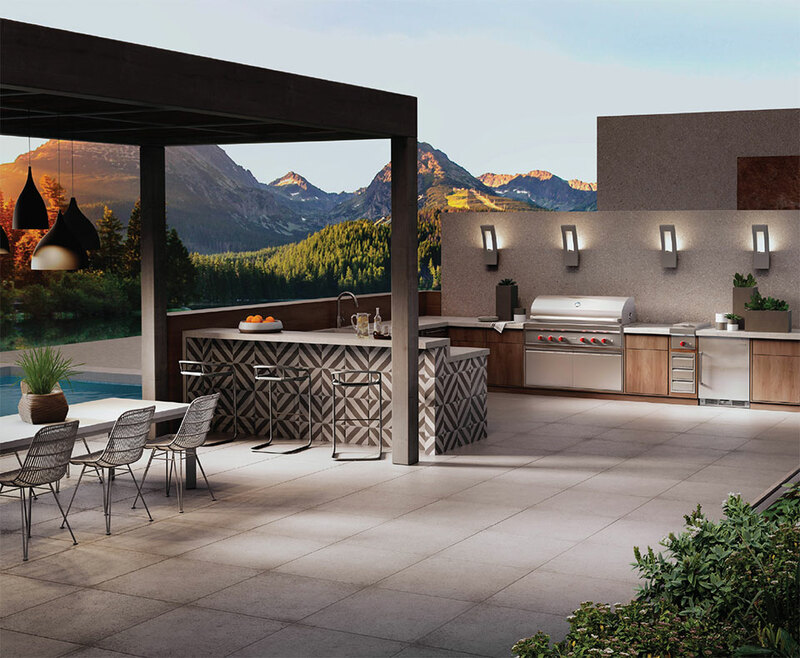 While stressing the importance of planning ahead to his clients, Holmer recognizes that outdoor rooms require ample space to function properly. 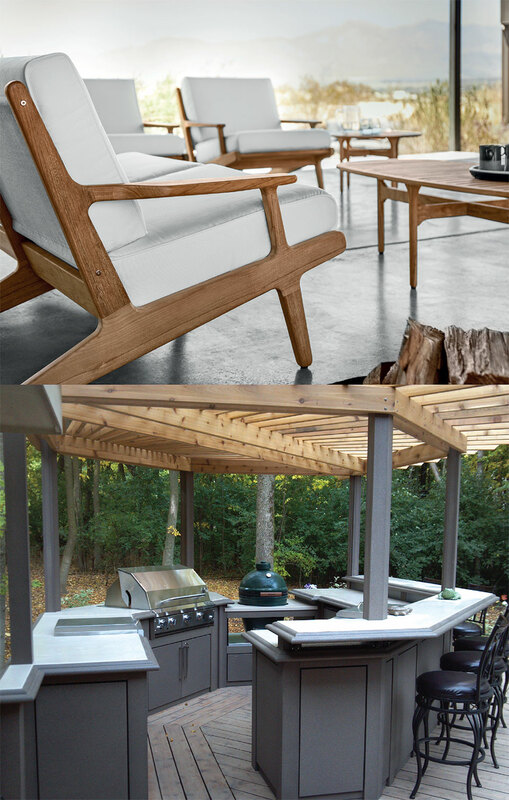 “Outdoor furnishings once meant a few chairs around a table on the deck, or a picnic table and benches in the backyard. Dining tables have now grown to seat 10 to 12 people for those wishing to entertain many guests. I encourage folks to think about the desired view when choosing a rectangular table. If your space only allows the table to be placed parallel to the house, you will then force your guests on one side of the table to look at the side of the house. I prefer to place rectangular tables at a 90° angle to the house. This way, most of the guests will have a more spacious view. Make sure that you have the right amount of space to accommodate your furnishings. A basic 48” round dining table with four chairs will need a minimum of 10’ x 10’ area. Provide for the space needed by measuring the furniture layout and then add at least two to three feet on all sides for walk-around space,” states Holmer. This is just one of many considerations when deciding upon dining sets, lounge groups, cooking, and hot tubbing areas. 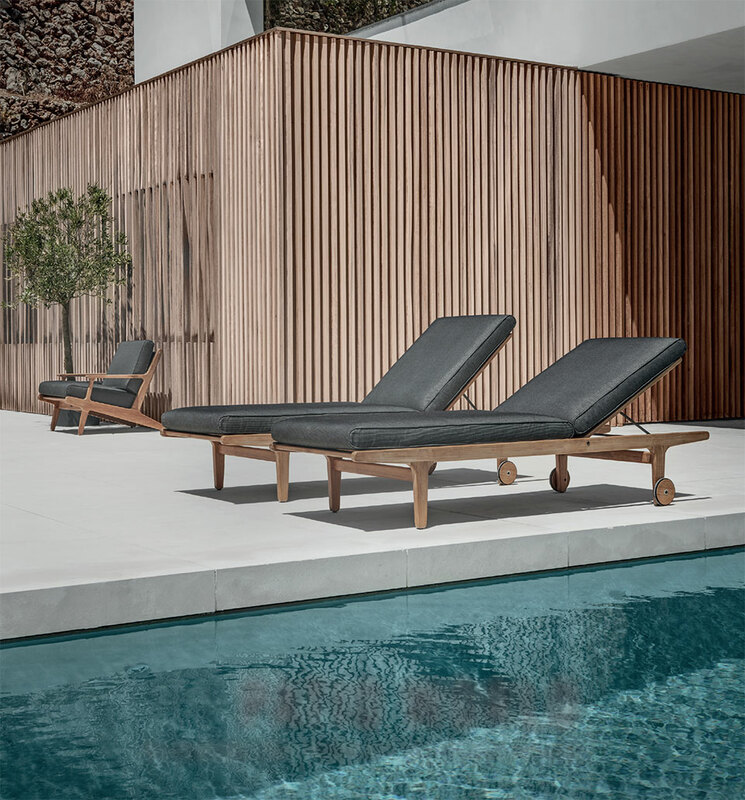 Take time to consider that the array of furniture models that Patio World has on its floor is only a sample of the variety of styles available. There may be up to a dozen options for the color of the frames, as well as possibly hundreds of choices in cushion fabrics. Johnson has seen his share of history in Bend, with the town’s expanding population and his customers’ requests. “We’ve seen a change in the last year or two with the variety of products that people are looking at. 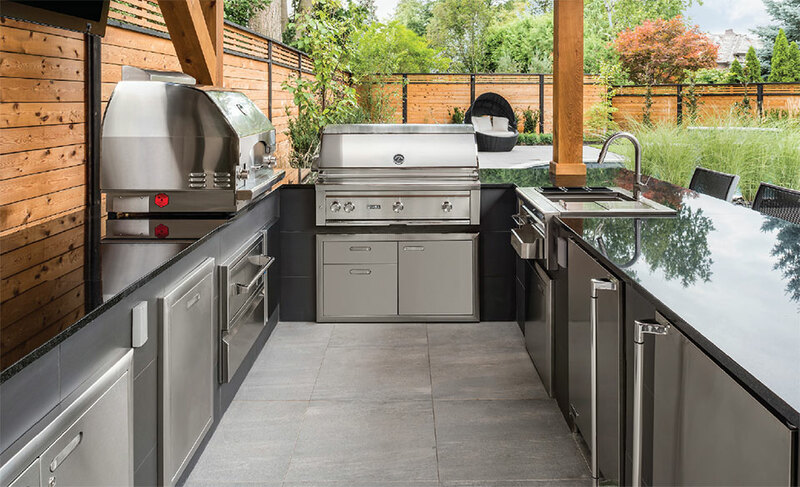 In years past, a typical focus or experience might be an outdoor island with a gas grill and maybe a sink or refrigerator. But because there has been a significant expansion in the offerings from manufacturers, our customers are purchasing a wider variety of products. 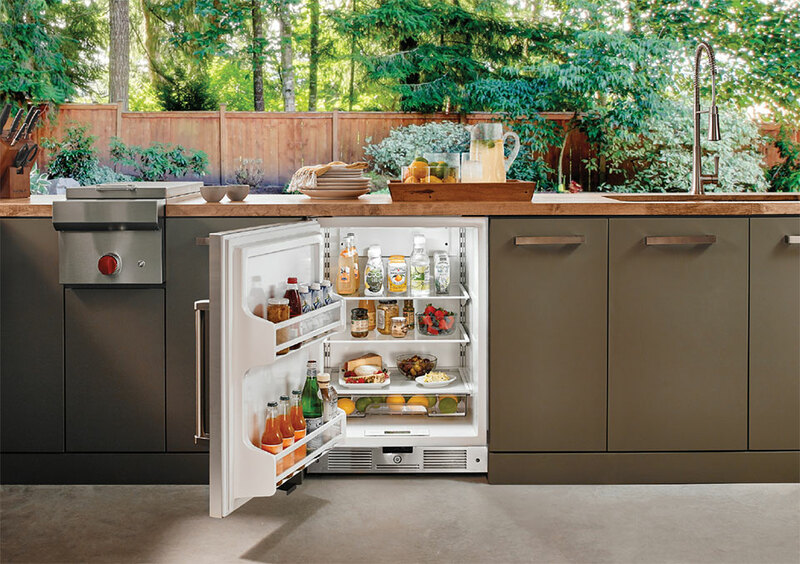 Basically, everything you would have in your inside kitchen, you now have in your outside kitchen.” Those offerings could include multiple refrigeration units, pizza ovens, ventilation, and compactors, just to name a few. Defining your outdoor lifestyle is fundamental in the early planning stages. It is best to determine if you’ll be entertaining for large events and might require spaces that allow for formal seated dining or if you’re more apt to host casual dinner parties and happy hours. Perhaps you want to demonstrate your grilling prowess or bartending skills to your family, friends, or business associates. Either will necessitate deciding upon fuel sources (gas or electric), plumbing (for sinks and refrigeration), and where those will be located. 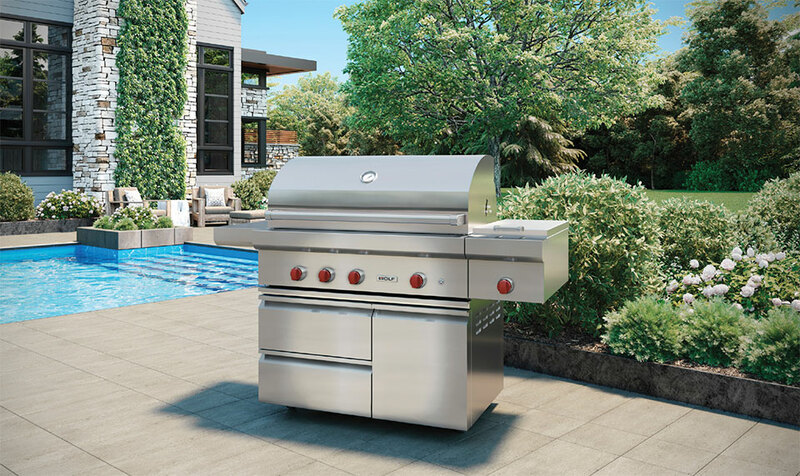 If you’re one who wants a full-size professional grill, then is it built-in or freestanding? Which fuel source do you prefer for grilling or smoking? “Another trend we’ve encountered is a variety of fuel sources. Some folks want two or three cooking method options in their outdoor space. Maybe it’s a gas grill head or wood pellet or egg-style ceramic,” Johnson states. 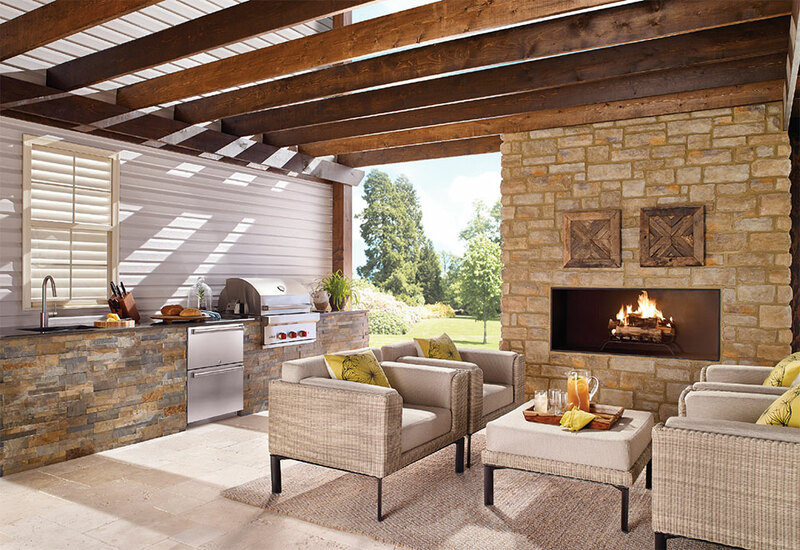 Fortunately, Johnson Brothers Appliances has partnerships with vendors that can design and construct pre-fabrications for those built-in appliances offsite and then palletize and ship them to the outdoor area where they can be assembled. Often, these pre-fab options are more economical without the cost of building custom. But the story here and what has captured our imaginations with outdoor living spaces is the desire to replicate or invent any style of entertaining environment with the plethora of products that are readily available. 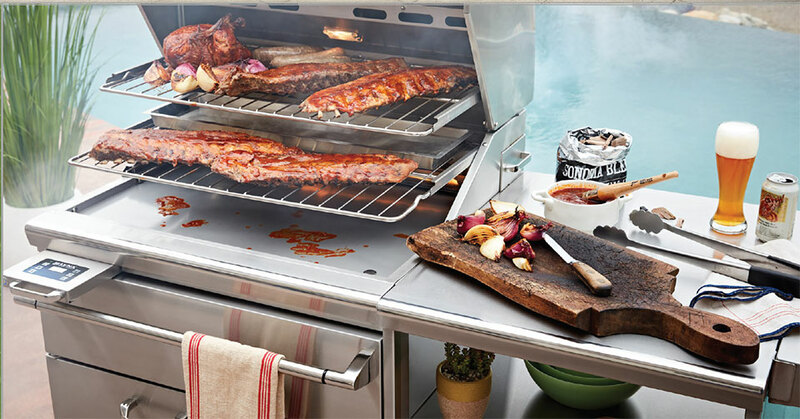 Take the Hestan Outdoor Kitchen. Johnson Brothers Appliances carries this stunning, thoroughly engineered, exquisitely designed product. With this incredibly functional suite that includes a powerful grill partnered with refrigeration, wine storage, pantries, doors, drawers, and trash chutes, there’s a good chance your free time could be spent married to this brightly colored beauty, perfecting your grilling skills. “We’ve noticed our customers introducing color. They want something fun and accessible,” claims Johnson. “The full spectrum of our product selection allows us to use our expertise in taking care of our customers. We are not in it just to make a sale, we want to create a customer for life.” Johnson Brothers Appliances is noted for having built roots in the community. 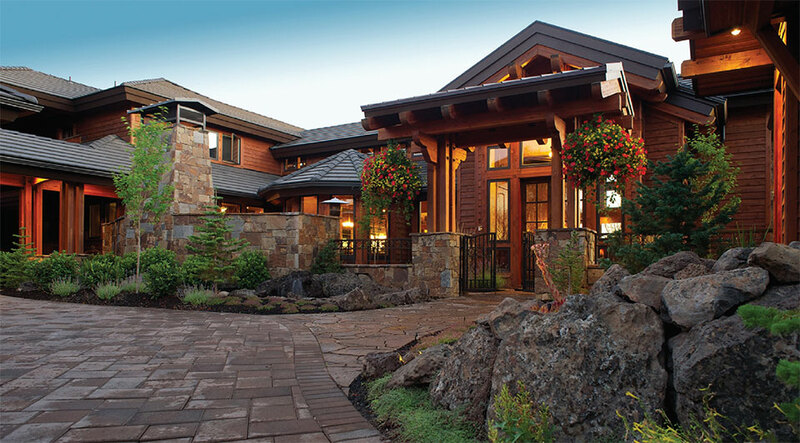 Their exceptional service includes in-depth product knowledge and a showroom with the largest inventory of major brands in Central Oregon. 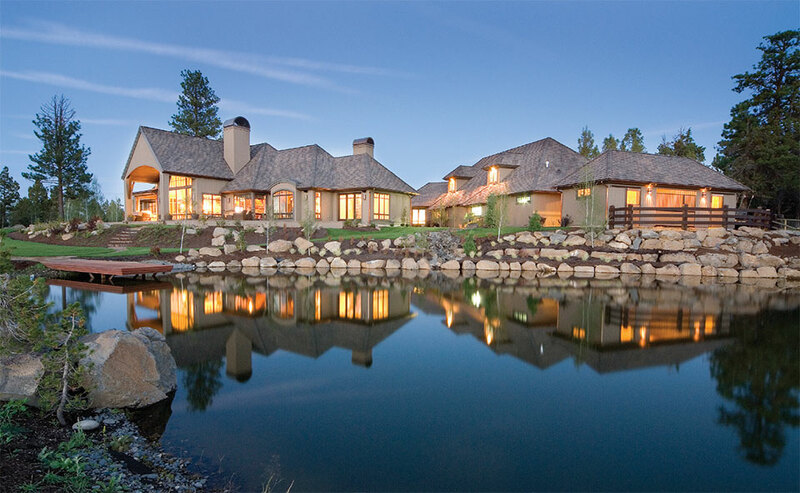 Omega Media Solutions designs and implements the most sophisticated smart home and commercial automation in residences and businesses in Central Oregon and beyond. 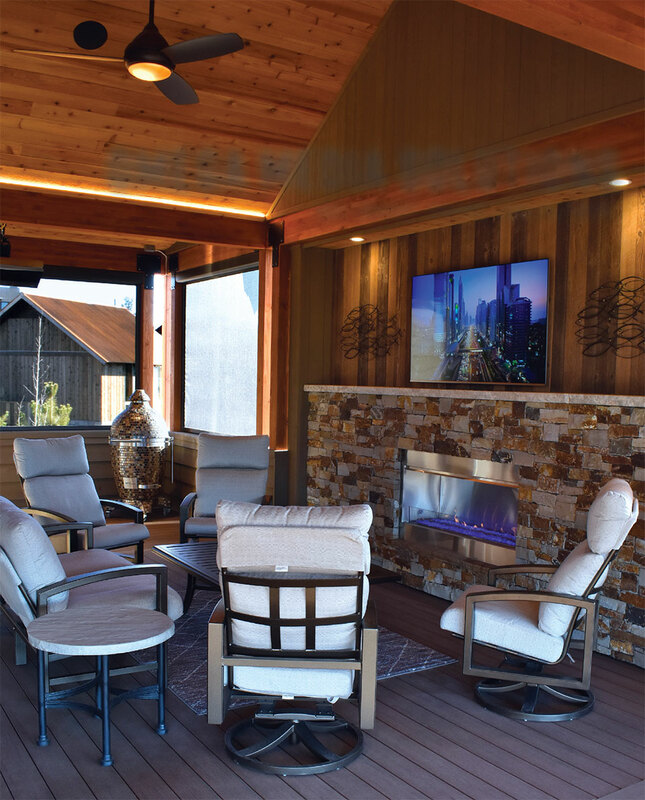 For more than a decade, Matt Haferkamp and his team have transformed indoor and outdoor environments by personalizing these spaces for clients, which can include audio visual systems (TVs, home theaters, speakers), window shades, interior and exterior lighting, and outdoor landscaping essentials. How we live in our outdoor spaces has changed dramatically in the last decade. Top priorities include controlling music systems and outdoor lighting, safety and security, and heating, cooling, and irrigating. Imagine a system that can adjust your music’s volume, control the solar shades, turn on the outdoor heaters, turn off exterior lighting, water the lawn, and check whether a front door delivery has been made. Now imagine if you had the option to control that system via a wall touch screen or your smart phone. “We’re going to think about you and discover how you live, what’s important to you, and focus on making it easy, neat, and clean. Our clients look to us as the experts. When we meet with them, we understand when they say, ‘I want audio throughout my home, but I don’t want to see the speakers, or when I’m barbequing and can’t keep my eyes on the kids, I want a sensor on the pool that tells me if the cover is open.’” These personal preferences define the options available to the homeowner. For instance, if a priority is being surrounded by music, then that “includes taking into account whether or not you need a subwoofer, the degree to which your speakers are visible, and extra features like rock speakers that blend in with your landscaping.” Omega Media Solutions’ attention to detail extends to solving issues for speaker configurations that consider the proximity of your neighbors, the volume and bass required for a great sound, and which parts of your outdoor space you’d like sound in. After Haferkamp consults with the homeowner and builder, he recommends brands and products. 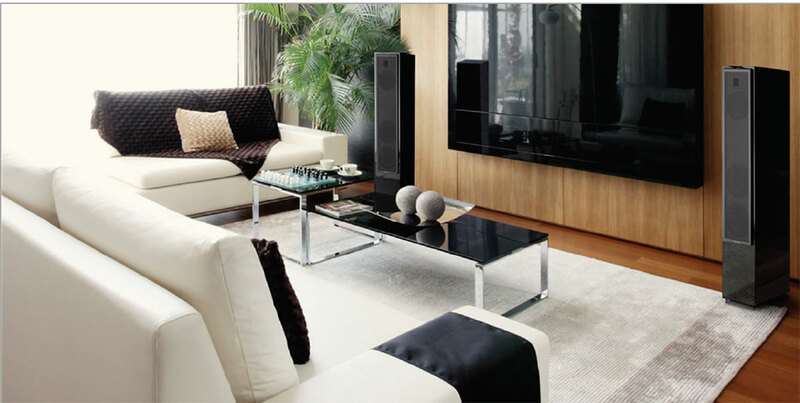 Recently, he has noticed the trend in outdoor spaces for outdoor-rated ultra-bright TVs. These fully waterproof high-definition televisions, which compensate for the sun’s brightness with an anti-glare surface, are making their mark in our outdoor living rooms. Resistant to humidity, sea salt, insects, dust, rust, and extreme cold or heat, barbequing while watching a game is completely possible! 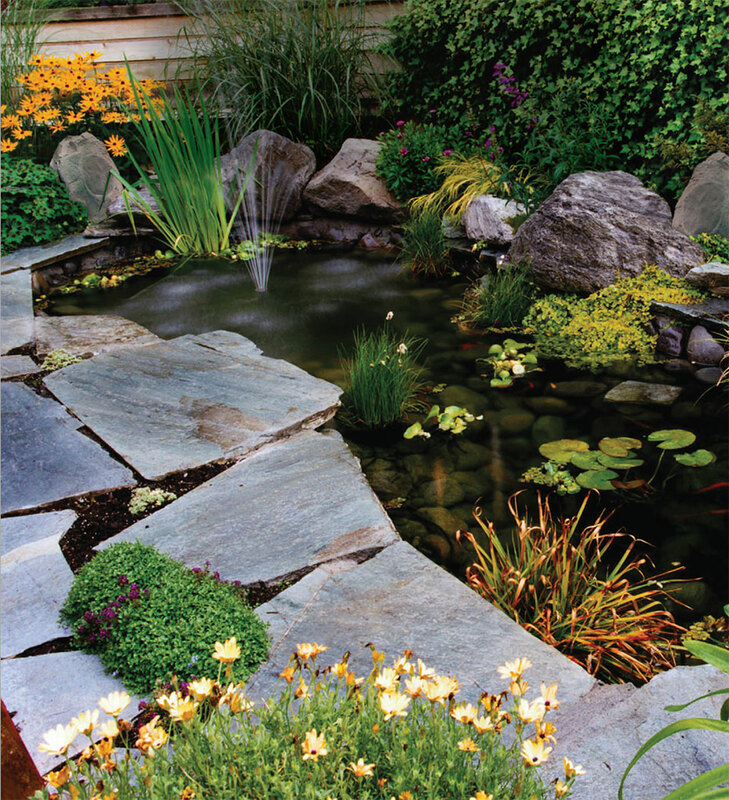 Award-winning Earth Designs Landscaping knows the high desert. 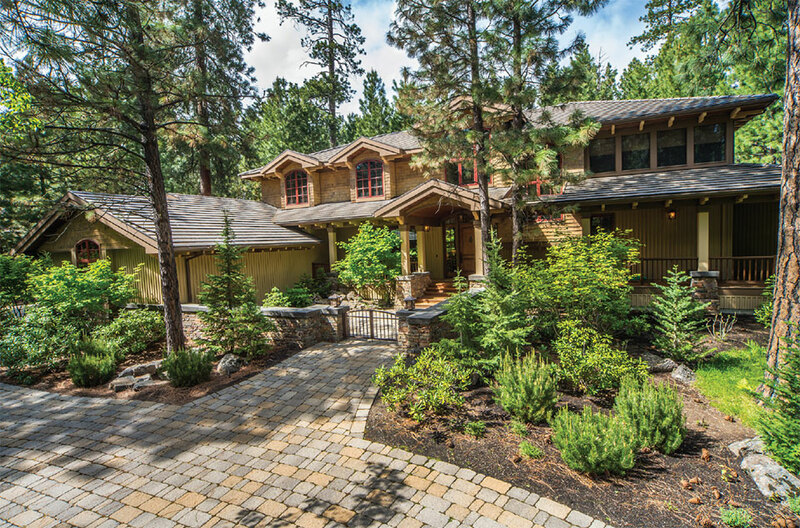 For founder, owner, and landscape designer Kevin Zachary of Earth Designs Landscaping and Outdoor Living, a long-held passion for the outdoor environment and its beauty continues to drive his 40-year dedication to Central Oregon and its native high desert surroundings. For Zachary, developing, designing, and connecting interior and exterior spaces to create an enhanced picture of nature come naturally. Zachary believes, “First and foremost, a well-designed landscape is always number one when establishing an outdoor environment experience. 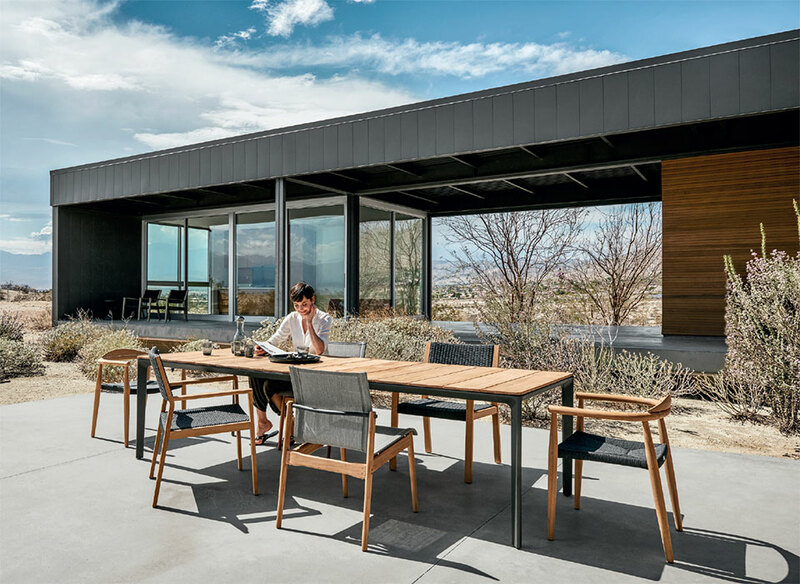 This design portion, when executed properly, facilitates a useable outdoor space that blends into our native high desert.” To achieve this, Zachary focuses on the uses of these spaces by understanding his clients’ lifestyles. Incorporating color, form, and texture, and fusing structure with scenery, he primarily uses basalt mossy boulders, sagebrush, rabbitbrush, and native grasses to juxtapose water features, fireplaces, walls, fences, and pools. Selecting boulders and grasses that complement and add drama to the lush desert landscape helps to frame views and transition zones from the home to its outdoor spaces. By defining the site with its orientations and seasonal microclimates, Zachary accomplishes this with a well-founded respect for nature. “I see a continuing trend for 2019 that started approximately 15 years ago. It is the preservation and enhancement of the Central Oregon native landscape. In many of the neighborhoods where new homes are being built, it is a requirement. In fact, they cordon off areas to protect the landscape from the excavation process.” Zachary adds, “And, for those of us who have lived in Central Oregon most of our lives, we’ve realized there is beauty in the desert. We kind of took it for granted and some of the newcomers to the area said, ‘It’s beautiful, let’s preserve it,’ and that’s been the direction, which is great since it saves our precious water resources.” And that consideration for water is more than a sustainability trend. “Suddenly everyone realized water is not unending and there’s a limited amount. Native landscapes use far less water than just planting grass. Lawns are the most water-intensive landscape and they certainly have been reduced in size. ”Sustainable gardens have become an important factor in any project and environmental responsibility is paramount to all landscape design. Promoting plants that support water use and nature is both an economic and aesthetic decision. 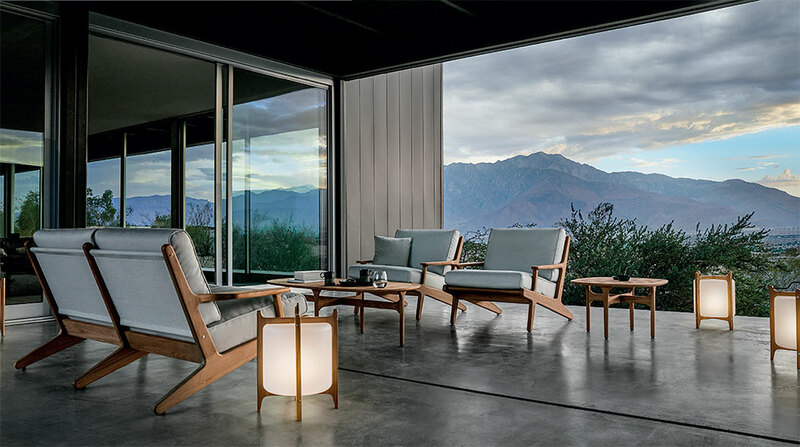 While creating outdoor “rooms,” which can be for entertaining, recreating, or meditating, Zachary focuses on highlighting comfort and function while remaining true to the home and its landscape. 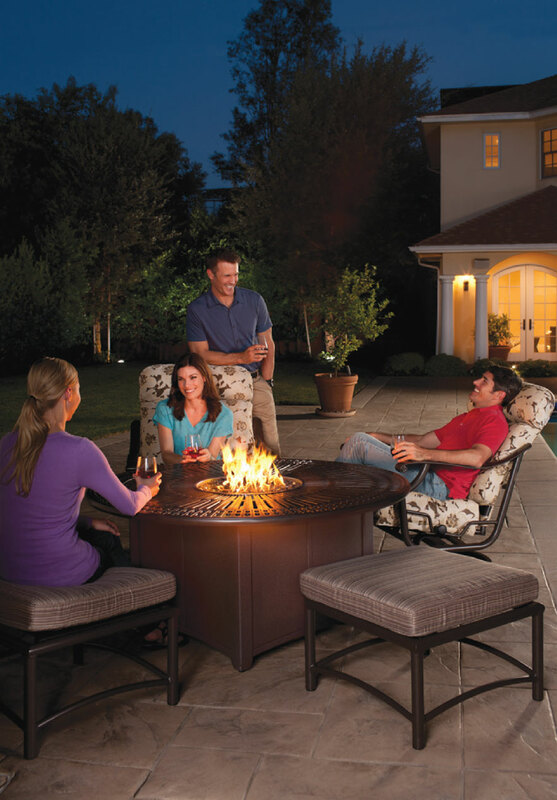 Ample seating around a fire pit is as important as an inviting dining area with close access to an outdoor kitchen, barbeque, refrigerator, and sink. Recognizing the importance of placement and flow, Zachary approaches the design with a keen sense of the practical and necessary when planning the layout for counter space, prep space, storage, and cabinets so that regardless of the area’s size, it conveys the owner’s lifestyle and a sense of place. 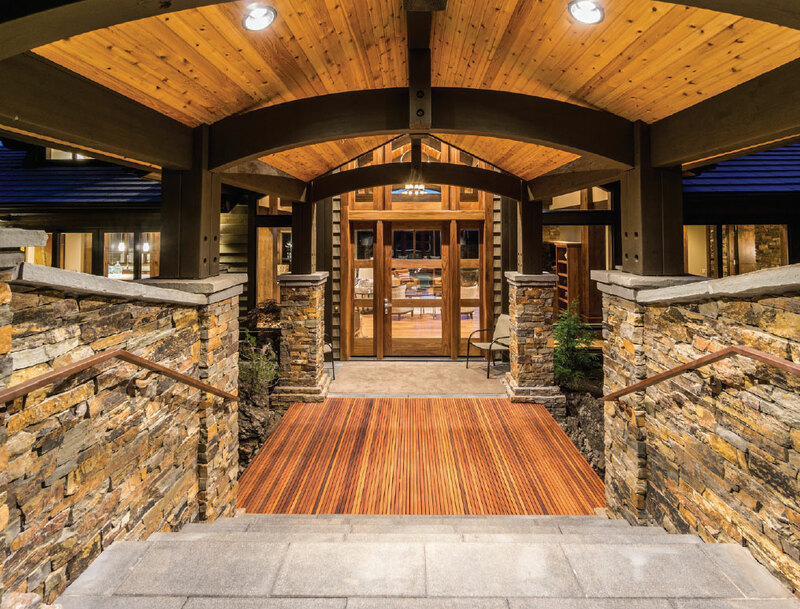 Taking pride in quality, design, implementation, and long-term care in those designated spaces and their adjacent environments is what characterizes a property’s distinct feeling.